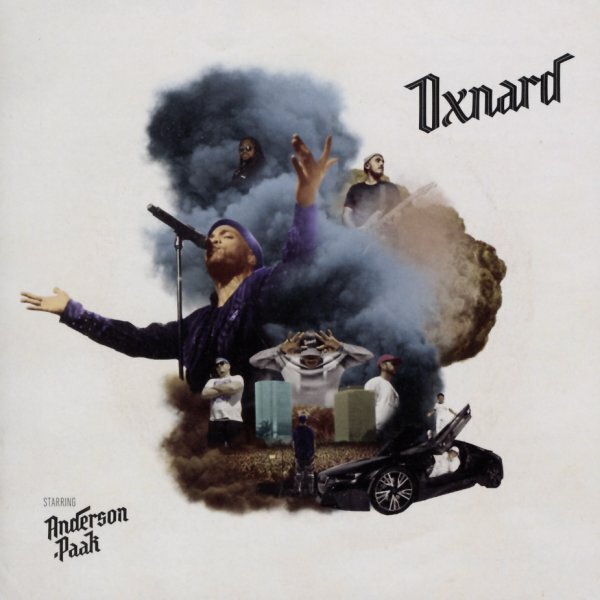 Cinematic hip hop soul from Anderson .Paak named after a seaside city west of Los Angeles, CA – but it's not Malibu, it's the stunning follow up Oxnard – a little looser, more diverse, and ultimately just as impressive set from this still rising talent! The uber-impressive guest list including Kadhja Bonet, Norelle, Kendrick Lamar, Snoop, Dre, Pusha T, J Cole, Q-Tip and more but this is the sprawling Anderson .Paak show all the way, his distinctive blend of Cali sunshine and nighttime music and mood, his gritty-smooth voice so masterfully going back & forth from singing to rhyming, the production breathtaking from the stripped down beats, bass and vocals focused tracks to grander and more densely layered material. Includes "The Chase" with Kadja Bonet, "Headlow" feat Lowrell, "Tints" feat Kendrick Lamar, "Who R U", "6 Summers", "Saviers Road", "Smile/Petty", "Mansa Musa", "Brothers Keeper" feat Pusha T, "Anywhere" feat Snoop Dogg & Last Artful Dodgr, "Trippy" feat J Cole and "Cheers" feat Q-Tip – plus the bonus tracks "Sweet Chick" feat BJ The Chicago Kid and "Left To Right". © 1996-2019, Dusty Groove, Inc.